Collaboratively, of course! We will clarify your organizational goals, co-create solutions, assess obstacles and create a plan of action for implementation. Along the way, we measure results so your team can understand how they may continue to grow while improving organizational outcomes. The JUNO Collaborative knows that finding the right partner to help you and your organization move further along toward success is a choice not to be taken lightly. That’s why we offer complimentary consultations to walk you through your needs, the scope of your goals, and your budget. Catherine Saar, founder of The JUNO Collaborative, has over twenty years of experience delivering results on a wide variety of personal and business projects and is passionate about leveraging the power of collaborative coaching to help individuals and organizations create greater success in complex, rapidly changing environments. When coaching, Catherine uses a practical, customized approach to help her clients define the path to achieve their best outcomes. Coaching programs not only need to be clear, motivating and compelling, but also manageable, because if a plan isn’t workable for the individual or for the organization, it won’t deliver results. 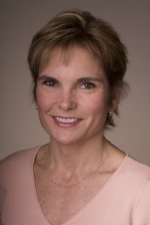 Catherine is a certified Executive Coach and Master Coach Trainer with the Center for Executive Coaching. She has also worked as a CMO in a large, matrixed franchise organization, and has spent many hours in the board room, collaborating with executives, and mentoring team members. Prior to becoming a full-time coach, Catherine held senior management positions at a variety of companies, including Taco Bell Corp., Diedrich Coffee, Dunkin’ Donuts, Smart & Final and Fantastic Sams Hair Salons where she has over 15 years of experience collaborating with teams and franchise owners to accomplish successful outcomes. She has also worked as an independent business consultant and spent several years working in finance.